After hitting a combined .190 last week, Denard Span and Orlando Hudson are starting to put it together. Span hit .389 (7-for-18) with four walks, three doubles, and three RBI. Hudson hit .353 (6-for-17) with six walks, four RBI, two doubles, and hit the go-ahead home run in the Twins' 6-5 win over Kansas City. The Twins stranded 48 baserunners in five games this week, including 11 in a 6-3 loss to the Boston Red Sox. The Twins hit .258 (12-for-63) with runners in scoring position. Carl Pavano gave up seven earned runs on 11 hits in three innings against the Royals, raising his ERA to 4.96. Nick Blackburn gave up five earned in five innings, including two home runs. Blackburn leads the majors in home runs allowed. In fact, the starting rotation had a 5.59 ERA this week but had a 7.52 ERA if you don't include Francisco Liriano's seven shutout innings against Boston. Liriano was 12-3 with a 2.16 ERA with 144 K in 2006, finishing third in AL Rookie of the Year voting behind Detroit's Justin Verlander, and was named to the All-Star team. Liriano missed the entire 2007 season due to Tommy John surgery. After a modest 2008 (6-4, 3.91 ERA), Liriano was one of the worst starters in baseball in 2009, going 5-13 with a 5.80 ERA. But it looks like Liriano is close to gaining his old form. Liriano is 1-0 with a 2.08 ERA in two starts, including seven shutout innings against Boston last Thursday. Nick Punto (yes, Nick Punto), who was hitting .133 entering the series with Boston, hit .571 this week, including hitting .355 (5-for-11) with two doubles against the Red Sox. 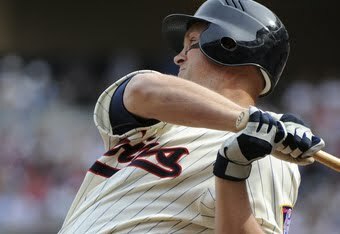 Michael Cuddyer kept his bat hot as well, hitting .417 (5-for-12) with two home runs and five RBI against Boston. Relief pitcher Jose Mijares was placed on the 15-day DL due to blurred vision and a shoulder problem. Mijares has a 6.00 ERA in five appearances this season. Punto didn't play in the three games against Kansas City due to a sore groin, and Pat Neshek has been receiving cortisone shots in the middle finger of his pitching hand. The Twins sent reliever Alex Burnett down to AAA-Rochester this week and brought up veteran Ron Mahay. Mahay, who has pitched for eight different ball clubs and worn 11 different numbers since 1992, has pitched three innings for the Twins and has struck out five of the 10 batters he has faced, surrendering only one hit. The 1987 Minnesota Twins won their first three series of the year before losing the fourth to the California Angels. The '87 ball club went on to win the World Series.